Summary: CMS has reversed its original proposal to cutback Medicare Advantage plan reimbursement for 2015. The reversal is a result of aggressive lobbying from organizations such as the American Medical Association. As of February 2014, Medicare Advantage reimbursement was set to be slashed by 1.9%. The consequences of Medicare Advantage cuts are costly both from the insurer’s side as well as the beneficiary’s side. Cuts were originally proposed as part of the provisions of the Affordable Care Act, which set forth reductions in reimbursement totaling about $156 billion over approximately a decade. The impetus to reduce reimbursement stems from at least the perception that insurers are reimbursed at a higher rate for Medicare Advantage plans than for traditional fee-for-service plans. Organizations such as the American Medical Association have been extremely vocal, launching lobbying efforts to try to reverse the proposed cuts. Additionally, some of the larger insurers are undertstandably up in arms as these cuts directly affect their bottom lines. To put this in perspective, a company such as Humana, has approximately 2.5 million Medicare Advantage beneficiaries and about 3.3 million enrolled in Medicare Part D, accounting for more than 70% of their revenue. A 5% reduction would be extremely detrimental to this caliber of a company. Is The Future Of Injectable Drug Delivery In Needle-Free Devices? Cutbacks to Medicare Advantage plans would have substantial consequences to beneficiaries/enrollees as well. If cutbacks have an immediate impact on insurer’s bottom lines, how do you think they will try to recoup those losses? Costs would be passed on to beneficiaries in the form of premium increases and/or higher out of pocket expenses. These plans will become more costly and possibly even unaffordable for a vast number of enrollees. Additionally, the cost associated with these plans on the insurer side would cause many doctors to no longer accept patients with Medicare Advantage coverage. The adage “you can keep your doctor” will again come to the forefront. Doctors will continue to leave these networks, requiring beneficiaries to find new physicians or pay the out-of-network consequences. Evidently, the pushback from insurers as well as the aggressive lobbying which has taken place have caused CMS to rethink, at least for 2015, whether these cutbacks are indeed a good idea. As of April 2014, these cutbacks have actually been reversed and increases will take place. The original 1.9% reduction has turned into approximately a 4% increase. Lobbyists, insurers, and beneficiaries can breathe a bit easier at least in the short run. How Do the Medicare Advantage Proposed Cuts Affect Medicare plans? These are basically separate programs. There still may be substantial cuts to traditional Medicare reimbursement. 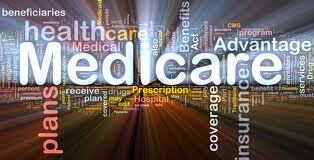 Review www.medicare.gov to find out the official information on all Medicare programs including Medicare Advantage.